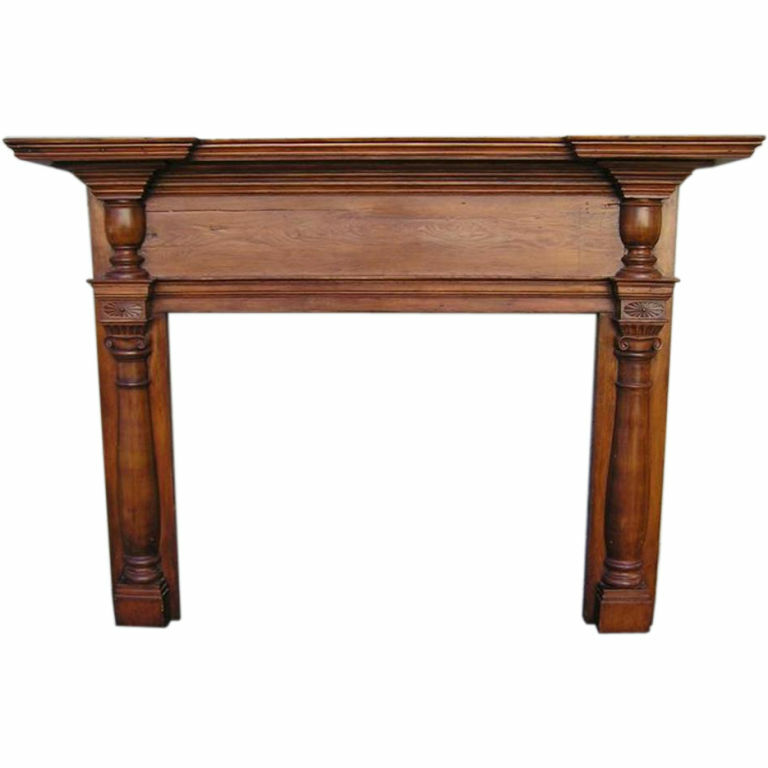 American white pine fireplace mantel with carved molded edge top , flanking urns & bulbous columns, & carved sunburst motif . All original . Early 19th Century . Firebox Interior Dimensions are 36.75" Tall / 48 " Wide . Mantle is 76.25" Wide @ Top shelf & 64.5" Wide @ exterior sides.